The ´Shapes and Colors´ video uses vivid images of day to day objects and molds them into a plethora of different shapes. 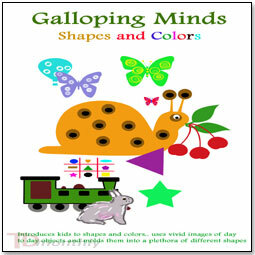 Children find the shapes and colors magical. The foot tapping music keeps them happy and elated. Introducing kids to different shapes in 2 and 3 dimension , bringing them together, are part of an enchanting experience.